No matter whether it is the food industry, Auto industry, the Institute of Golf, the Fertiliser industry or the Cosmetics industry, QCDSM is applicable in any industry or workplace involving people simply because it enables all employees to become the drivers of increased productivity and efficiency. Language is of no concern as all our materials are translated – Spanish – at Fuller, Dutch, Portuguese, French etc. 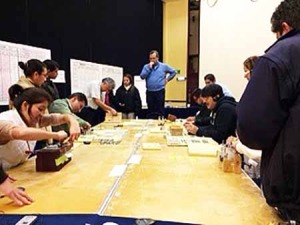 The QCDSM System provides this opportunity through the application of Lean Principles of Management and Manufacturing throughout the organisation using the unique method of what is called Green Room meetings. Daily or weekly depending on the department, the people meet to discuss their results. 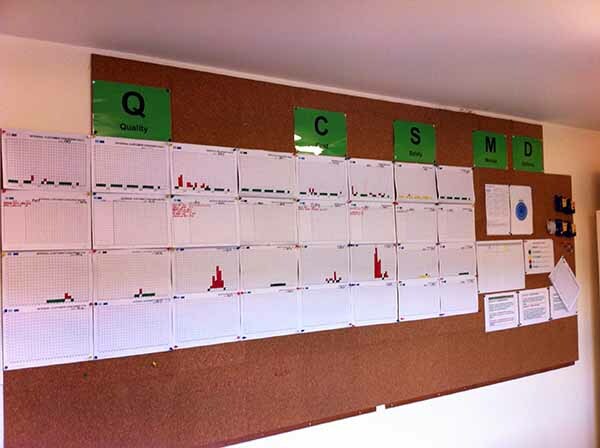 These are displayed, visually, on Charts, in their various ‘Green Rooms’ and the data on the charts is used to encourage Ideas and Suggestions on how to deal with the issues revealed. This process of direct information is fundamental to the Lean QCDSM process. The feedback from the ‘experts’ and the continual improvements resulting from their input through their ideas and suggestions are based on the data on the charts. THIS is how the process is done. 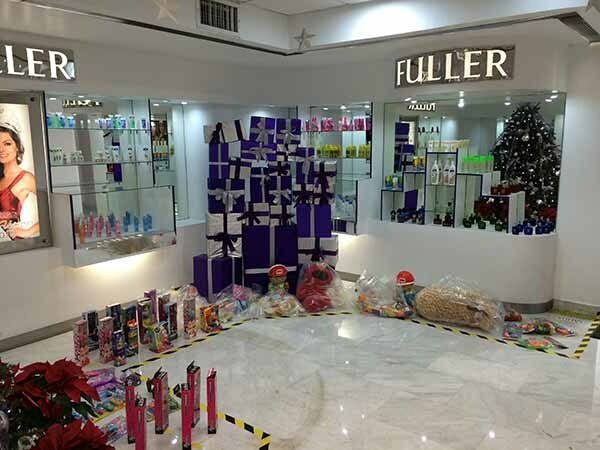 The company has a product range of over 9000 items and sells worldwide. 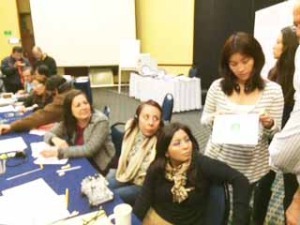 Part of the Tupperware Company, they have introduced some important aspects of Lean already. 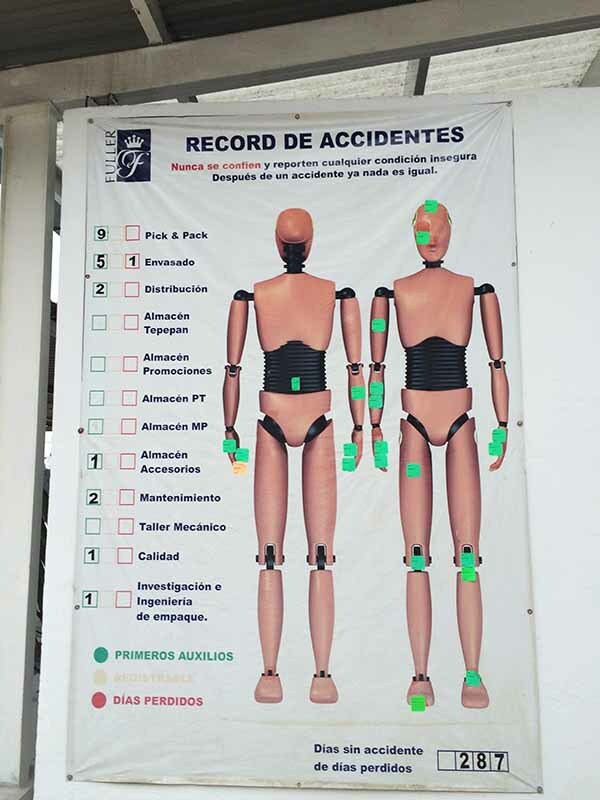 This comprises a Safety process that is inclusive of all employees, to the recognition of achievements, to daily meetings and visual measurements. However, the company was looking for a process that would not only incorporate what they were already doing but would bring it all together into a holistic system which would be used company wide. Their choice is the QCDSM process. The need to recognise achievement is also a fundamental principle of the Lean process. This must be spread across the company and many companies are doing this already. 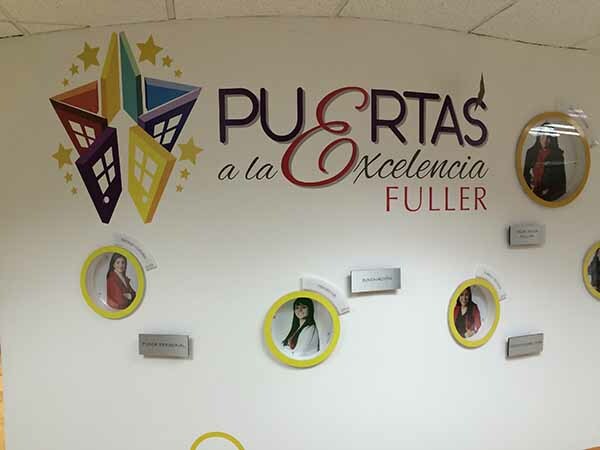 Here is what Fuller is doing for their Sales people. In this environment, any ‘system’ that would bring all the elements of Lean together would need to have a starting point. Fuller was very aware of this and on December 15th to 17th 2014, 23 of their key people began the Try Z Seminar. In many instances this methodology was completely new to them. Therefore it was very satisfying to observe how after the first few hours of the 3-day course, the understanding and the enthusiasm of this group was demonstrated by their achievements. After all, Administration personnel combined with Manufacturing and Management people had to come to terms with building 15 plastic model car units made up of 68 different parts each in a specified amount of time – three times – with minimum defects, must have been a challenge. However the enthusiasm of these Mexican people with their strong communal approach and support helped them directly to achieve their targets. After the seminar, the same group were then presented with the principles of the Green Room meeting process. This was needed to demonstrate to them how to transfer their experience in the Try Z seminar to the real life of their departments. 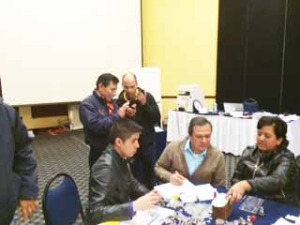 This training was followed by a one-on-one coaching session in selected departments. This completed our visit to the company. The coaching involved how to post the data of Customer Concerns and Defects Received etc. onto the charts that would be displayed in the Green Rooms. Early in the New Year, 2015, they will begin their journey. We wish them well and will be ‘holding their hands’ as it were as their beginning. 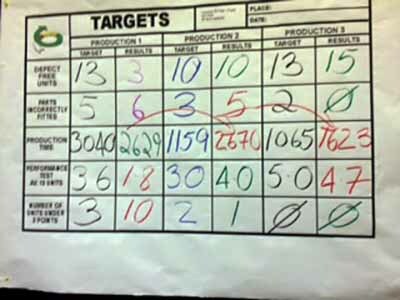 Their Target Chart in the Try Z Seminar indicates the continuous improvement that was achieved. 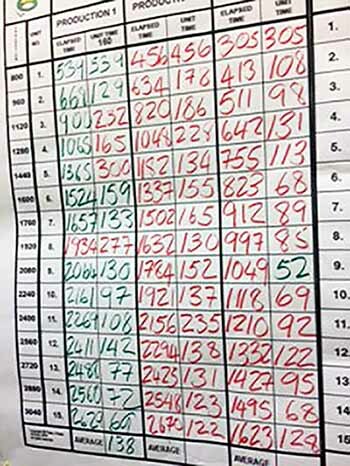 From 2629 with a total of 132 Defects to 2676 with 16 Defects (note the reduced Defects) to 1623 and 0 Defects. Continuous improvement but driven by direct people involvement. 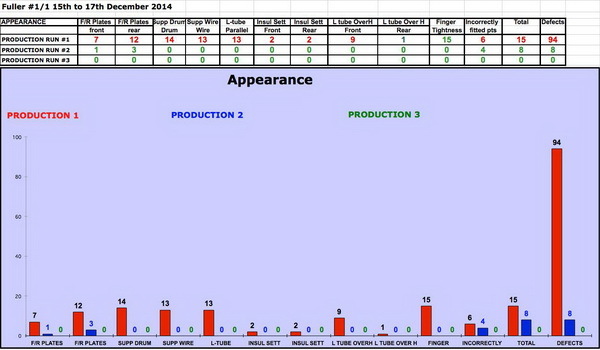 After the first production run their APPEARANCE data showed 94 issues. Part of the course was to not include APPEARANCE standards and targets for the units in the assembly process. 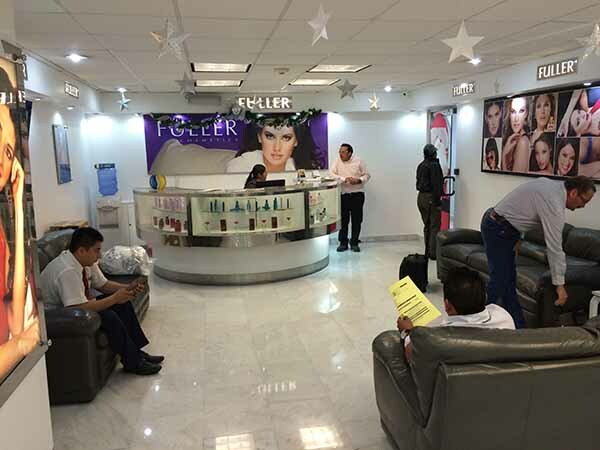 The challenge was to give them the experience of attending to the APPEARANCE issues on the second day and to eliminate them as much as possible by writing processes to do this. 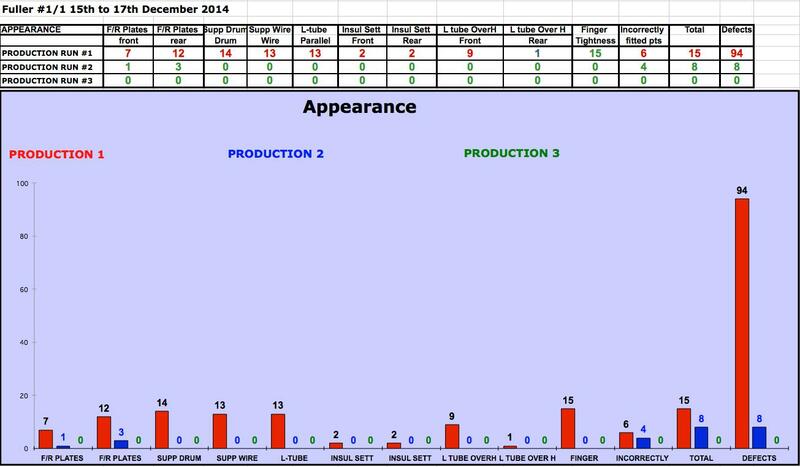 They reduced the Appearance of the units defects as shown the chart below. It was from 94 – 8 – 0. Note: There are no Green Bars because there were no Defects with the 3rd Run. The group achieved this by applying Lean principles. Two of QCDSM’s principles are: You cannot manage what you do not measure – the charts, and Pay Attention to Detail. Their success will now enable them to transfer this knowledge to their people.